Mel (That Meiko Girl) joins Marc and Greg to help review Voltron Legendary Defender, Season 8, Episode 2 - Shadows. 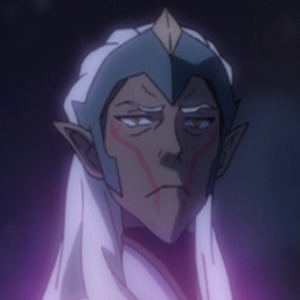 In addition, we find out the next guest for VoltCon!, shout out to Samoht Lion, who will be on a future podcast, and hear Greg review Lotor's backstory in a new Retro Voltron segment. Mel (@melmeiko) joins us once more to review Shadows, the second episode from Season 8 of Voltron Legendary Defender on Netflix. Mel discusses her thoughts about all of Season 8 as well. Thank you, Mel, for joining us once again! In this episode, we also mention that the former co-host of Let's Voltron: The Official Voltron Podcast, Jeremy Corray, has been added as a guest to VoltCon!, the Voltron-themed convention that will take place in Indianapolis, Indiana on October 19th and 20th, 2019. You can follow along with all the guests, as they are announced, on VoltCon.org, which is where you can order tickets to attend! We also mention the graphic artist that has contributed some of the designs on the VoltCon.org site, Samoht Lion, who will be appearing on a future podcast episode! Here are a couple pics of the ornaments that were sent to Marc. Thank you, Samoht Lion!